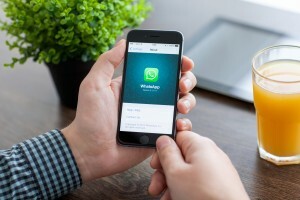 Facebook’s mobile messaging service, WhatsApp has touched 1 billion in its user statistics. Touching the 1 billion user milestone, WhatsApp is likely to become the second most used mobile application in the world. Facebook comments, “That’s nearly one in seven people on earth who use WhatsApp each month to stay in touch with their loved ones, their friends, and their family.” Despite the difference in user demographics, WhatsApp connects people to their family and friends wherever they are in the world. Though in the US, popularity of WhatsApp is comparatively low despite the fact that it is developed by the Silicon Valley experts, Jan Koum and Brian Acton. It is a popular social networking app across the European, South American, African and Indian regions. WhatsApp is preferred for sending and receiving messages, images and video and the fact that all these come without a cost increases its usage and popularity. Countries where the mobile infrastructure is not very strong, WhatsApp becomes an active substitute to Facebook and other social networks. To add on to this, WhatsApp has an enhanced feature of voice calling which allows people to make calls through the Internet. In a little while, WhatsApp will also have a video calling option like Facebook Messenger, the other popular messaging app. The scope of WhatsApp is immense and even unexplored to an extent; Facebook is searching ways to improvise its features so that even businesses can gain from WhatsApp services. A well planned feature is in the pipeline which will allow businesses to communicate with their customers through this engaging medium. With this implementation, making reservations in your favourite cinema or restaurant or making flight or train reservations will become a child’s play. WhatsApp has made its strong presence round the globe. If you wish to make your presence felt in social media and need to work out a business plan for it, Global Media Insight can come to your assistance. We have social media specialists to help you every step of the way.